Stratodesk at Citrix Synergy 2018 made a big splash. Thanks to the official announcement of the workspace hub at Synergy last year, we saw an increase in traffic at our booth. In fact, we had more visitors than at any Synergy show to date. The Citrix Ready workspace hub is central to the Citrix Workspace IoT solution. The advanced endpoint is an Iot device built on the Raspberry Pi. It is powered by Stratodesk natively, and is complete with Citrix Workspace app directly out of the box. Learn more about Stratodesk software and the Citrix Ready workspace hub in this interview form Citrix Synergy last year, featuring Stratodesk CEO, Emanuel Pirker. 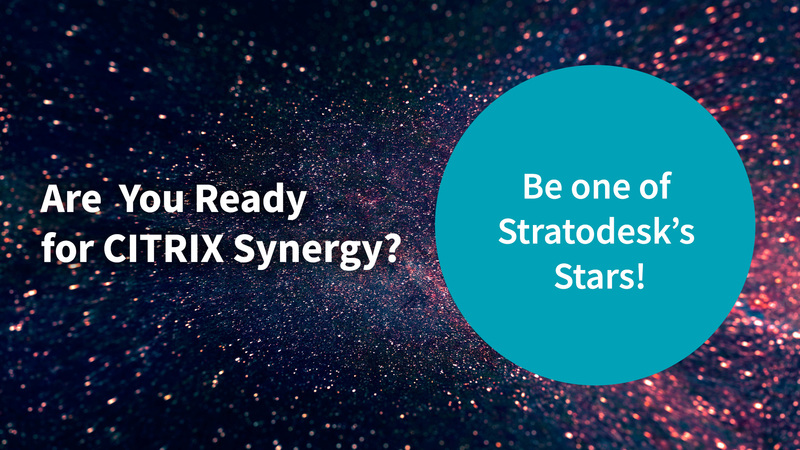 Help us make it a repeat this year by visiting Stratodesk at Citrix Synergy 2019 | booth 405. We can’t wait to see you there! Citrix powers a better way to work and Synergy demonstrates how, delivering the market insights you need to future-proof your IT investments and the vision to power your competitive advantage. Synergy gives you the tools to unlock potential in your people and your organization, and the confidence to pursue your own future of work—one that makes your company more secure, your users more productive and your customers more engaged. Stratodesk made headline news at Citrix Summit this year with the announcement of our partnership with ThinPrint. Together, we announced the premier print management system for VDI, via the next generation devices: the Citrix Ready workspace hub, and ThinPrint Hub –centrally managed via NoTouch Center. Can you expect more news to come out of the show this year? You bet! But let’s not spoil the surprises just yet. Your Chance to be One of the Stars – the Stratodesk Stars! Current or past Stratodesk customers have a chance to be one of the stars this year. At our booth we will be interviewing customers about what made their experience with Stratodesk so great. Expect fun and insightful questions that will allow you to show your expertise to the world. And anyone who joins us for an interview will receive a special thank you gift. We’ll see you at Citrix Synergy 2019 May 21-23 in Atlanta!